We all have abilities and disabilities. And we all need friends! We need friends to support and care for us and to provide a larger circle of support than families can manage by themselves. Friends appreciate the abilities of friends and use their abilities to enrich each others’ lives and help accommodate for any disabilities. Sometimes friends need to advocate for us when our disabilities don’t allow us to advocate for ourselves. 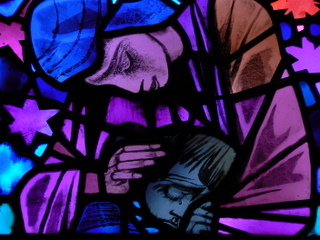 Friends help us as families connect with our faith and the traditions of our faith. Friends can be advocates and “bridge persons” to help faith communities know the challenges of living with a disability and the gifts that persons with disabilities can bring to our faith communities. Below are some starting ideas on being a friend who helps build positive welcoming relationships in your faith community. You can also visit the Advocates page for a slightly different perspective. Friends can explore together to find the resources you need that fit with your own faith tradition. Go to the Faith Communities section in the top menu. Sometimes a friend within the same faith community can help identify a particular issue or barrier in the congregation. Visit the Resource Center to get some ideas for helping your faith community become more welcoming! Sometimes, a congregation says they are accessible and want to be welcoming, but you hear another story from a friend with disabilities. The Individual and Family Needs Questionnaire allows all congregational attendees to discover and share how well they and their families feel included–or not! 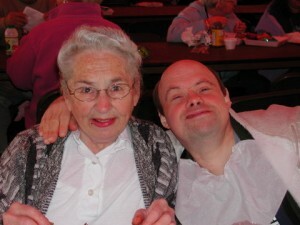 Sometimes friends can help their congregations discover their strengths and weakness in welcoming and including persons with disabilities. 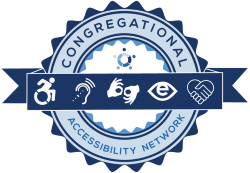 The online Congregational Assessment Survey can provide a systematic and objective approach to explore accessibility and inclusion. It can also be an outreach tool as congregations who complete the Survey receive the CAN Seal for their website.